Nashik Municipal Corporation Recruitment 2018: The Nashik Municipal Corporation is looking for the eligible and well-talented candidates to fill 20 unoccupied posts of Medical Officer, Physician, Skin Specialist, Dental Surgeon, Orthopedic, Therapist Specialist, Ear Nose and Throat Specialist, Psychiatrist. 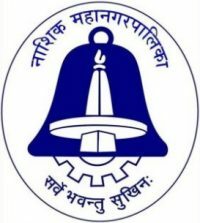 Recently, Nashik Municipal Corporation has announced an employment advertisement regarding NMC Recruitment 2018. To complete this NMC recruitment process job seekers who are willing to join this organization may attend walkin interview on 4th September 2018 at the given venue. Candidates before going to send the offline Nashik Municipal Corporation Recruitment 2018 application form may read the detailed advertisement about nashikcorporation.in Recruitment 2018 from this page which is well structured by the team of freshersnow. 1.8 Steps To Apply For Nashik Municipal Corporation Recruitment 2018 For 20 Medical Officer Posts? This might be the excellent opportunity for the eligible and qualified candidates who are looking for jobs in Nashik Municipal Corporation 2018. For more information on Nashik Municipal Corporation Recruitment 2018 like Age Limit, nashikcorporation.in Salary Information, Eligibility, educational qualification, selection process and other details are mentioned below. Individuals whose dream is to get a job in the Maharashtra state must utilize this chance to get settled in the Government sector. All the candidates must possess the qualification of MBBS from the recognized Board or University. Job seekers should have the minimum age of 18 years and the maximum age – 45 years. As there is no application fee for the candidates, who are willing to apply for the Nashik Municipal Corporation Recruitment 2018. The Selection Procedure of NMC 2018 is Personal Interview. The Interview for NMC Medical Officer, Physician, Skin Specialist, Dental Surgeon, Orthopedic, Therapist Specialist, Ear Nose and Throat Specialist, Psychiatrist posts will be held on 4th September 2018. Steps To Apply For Nashik Municipal Corporation Recruitment 2018 For 20 Medical Officer Posts? Visit the homepage of the official site that is Nashik Municipal Corporation @ nashikcorporation.in. Search for the recent recruitment 2018. Then click on the valid Nashik Municipal Corporation Recruitment 2018 link and then download the official advertisement. Read all information specified in the Nashik Municipal Corporation Recruitment 2018 Advertisement carefully. Fill the application form and then attach the original photocopy and signature and then send the duly filled NMC MO Application Form to the address as mentioned below.